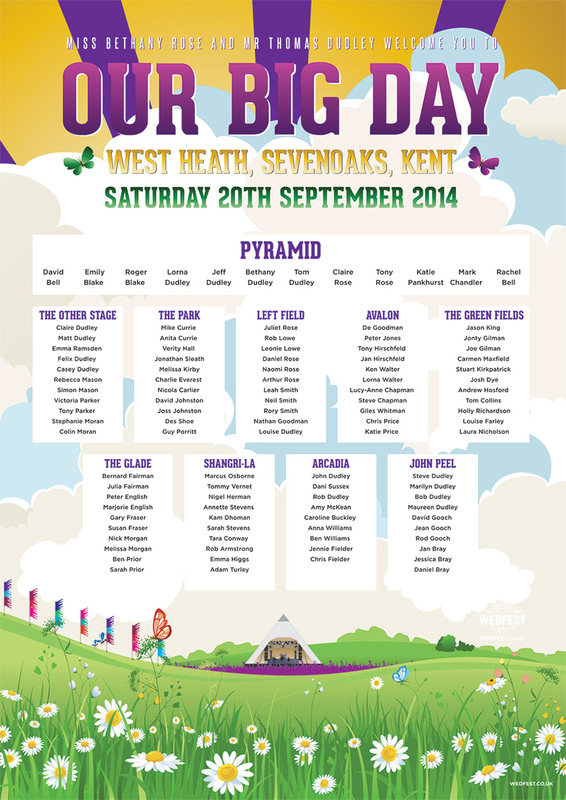 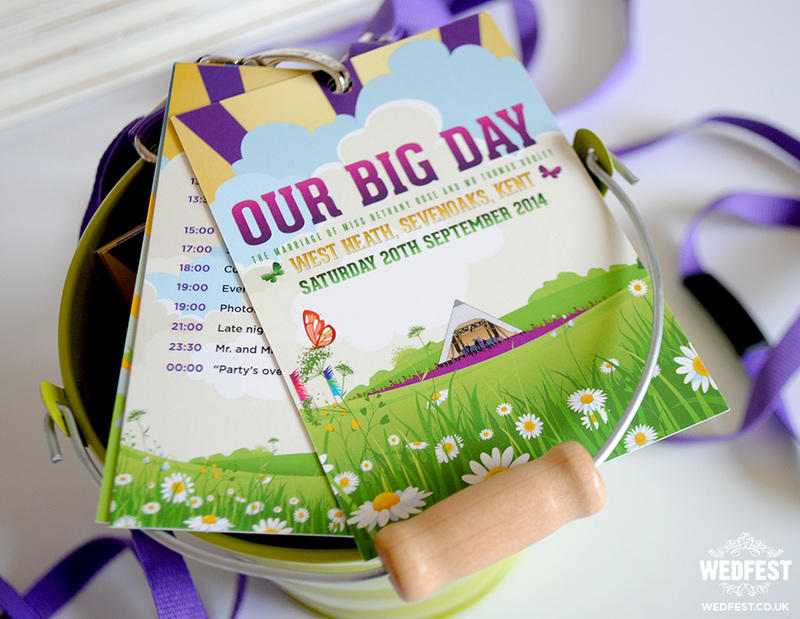 Our Big Day Festival Wedding Stationery – The summer has been absolutely manic at Wedfest designing and making wedding stationery for hundreds of festival weddings and festival and rock ‘n’ roll loving brides and grooms. 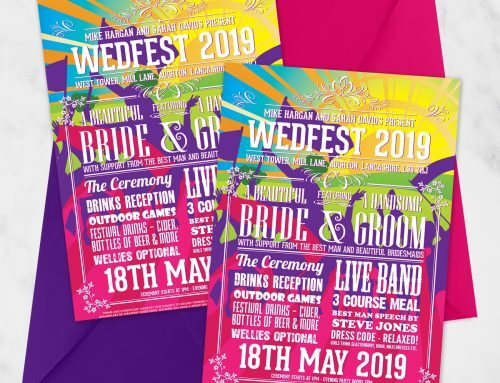 We have hadn’t the chance to update the website as much as we wanted to but don’t worry we have an absolute mountain of new awesome designs and wedding stationery to showcase and we will get it all online as soon as we can. 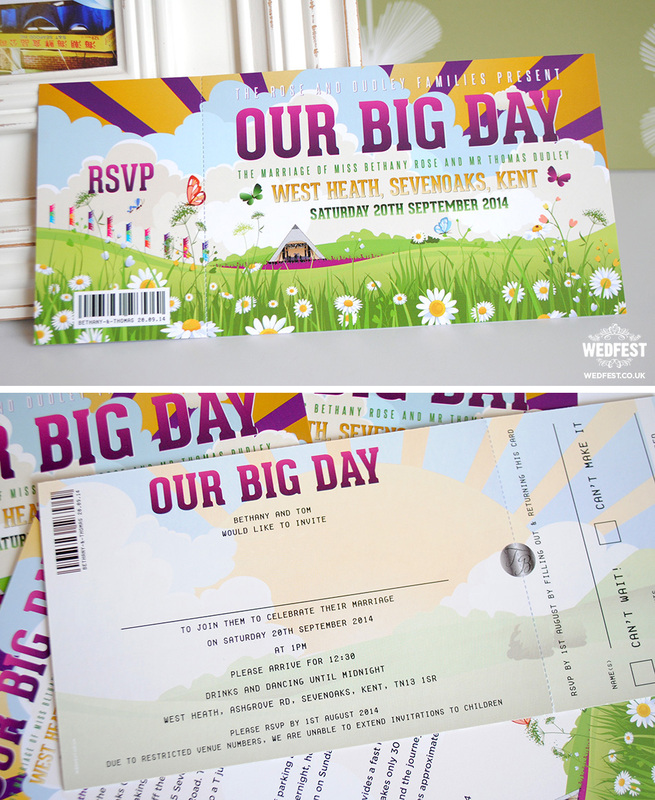 But firstly going back to a wedding from last September, this wedding stationery we have had so many compliments on from everyone who has seen it and many of our customers but never got the chance to get it online until now… well here it is, Bethany and Thomas’ festival wedding stationery for their awesome wedding called OUR BIG DAY! 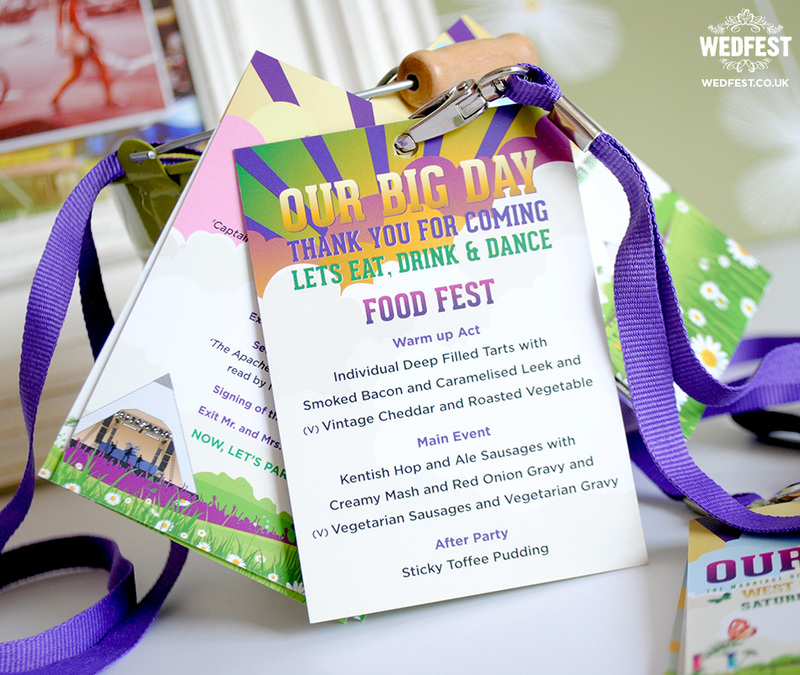 Bethany and Thomas wanted to go the whole hog for their festival wedding stationery and ordered festival themed wedding invites to send to their wedding guests, then festival wedding lanyard programs to give to their guests on the day of the wedding and then later on a matching wedding table plan and corresponding wedding table centre cards. 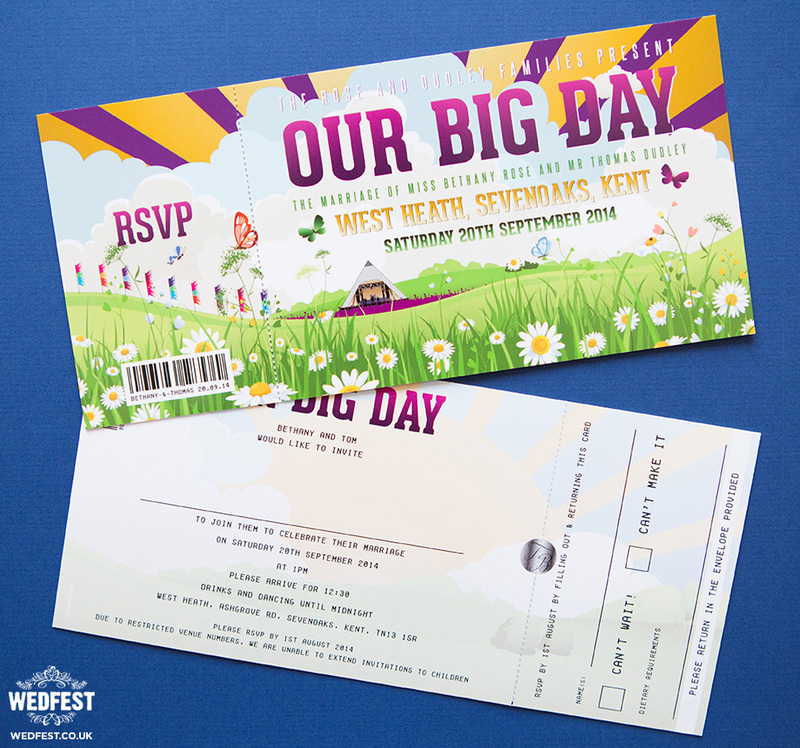 For the wedding invitations they wanted the festival style ticket wedding invites we make here at Wedfest and wanted the design to have a festival feel to it. 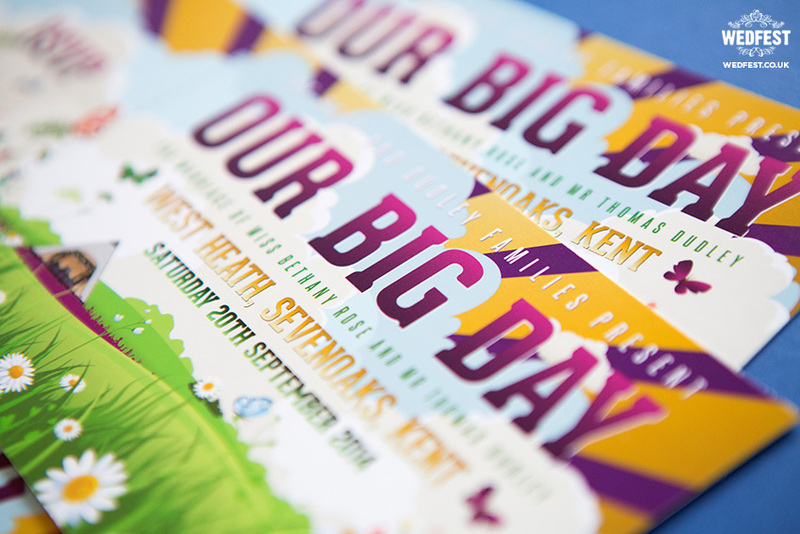 The colours they wanted were green, purple and gold so as you can see we worked these colours into the sky and text of the invitation design. 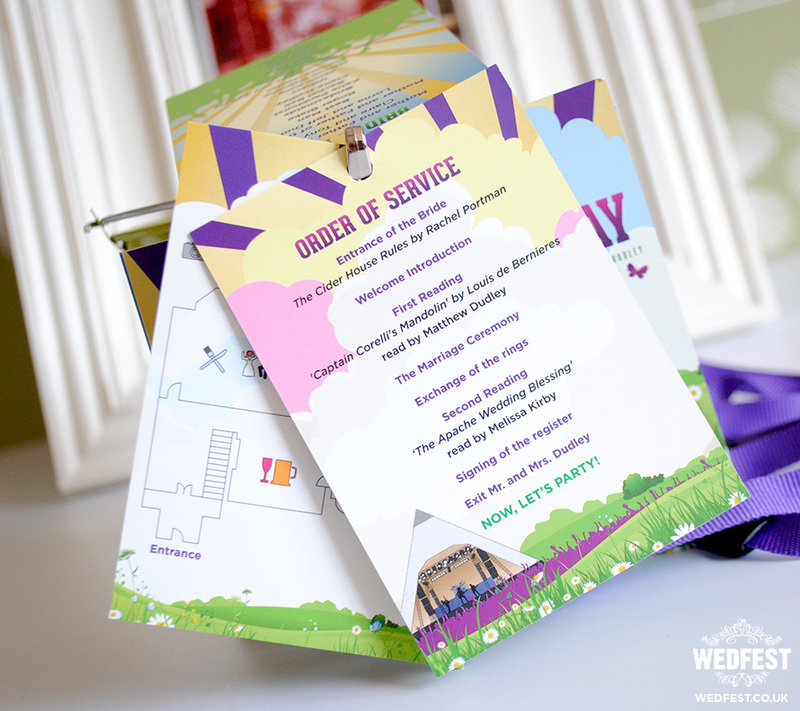 Along with the wedding invitations the couple also sent out wedding information cards containing lots of information such as directions to the venues, hotel information and much more. 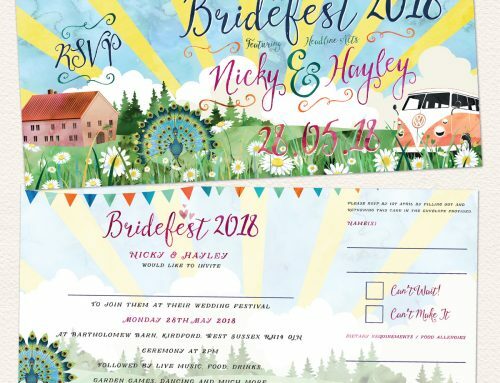 The design from the wedding invites was followed through to the rest of the wedding stationery, with OUR BIG DAY being the theme and title throughout. 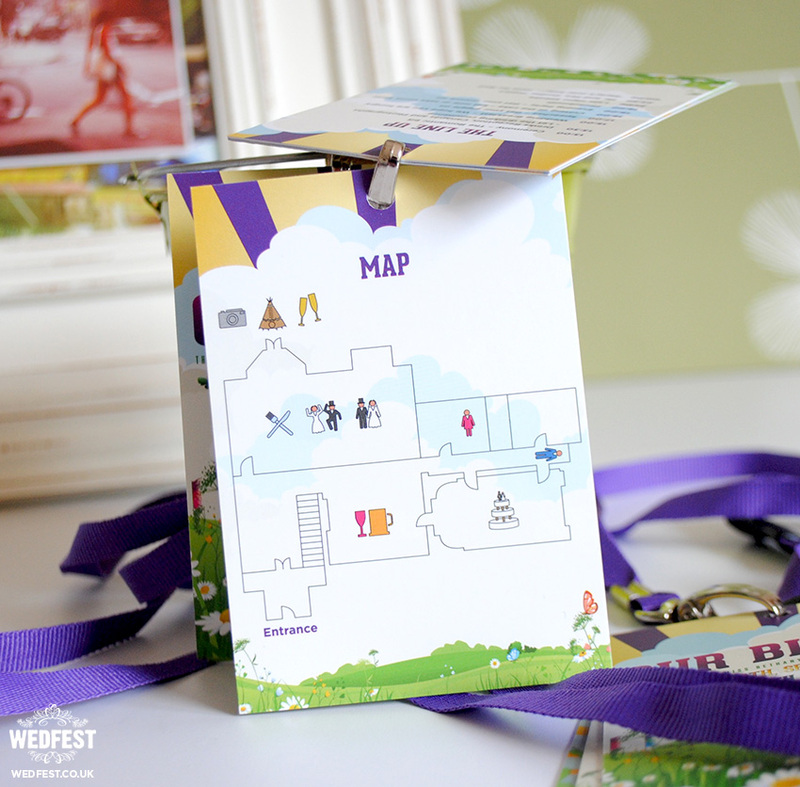 The lanyards acted as a wedding programme for the days events and contained lots of information on the lanyard cards such as the wedding running order, the order of service, a map of the venue, information on the bridal party and the festival wedding menu. 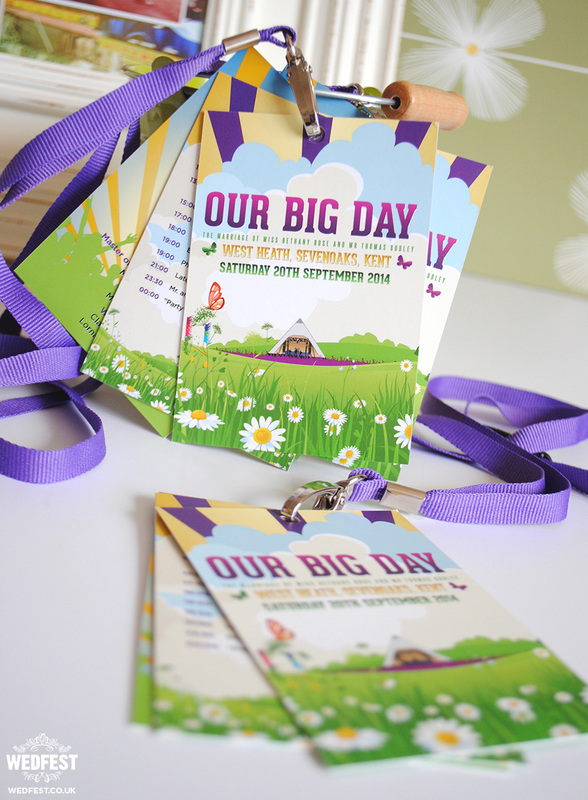 These wedding lanyard programs are excellent for wedding guests to have and especially in a case like Bethany and Thomas where they have a lot of information they want to convey to their guests. 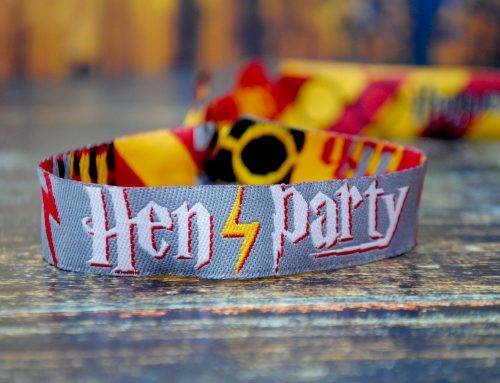 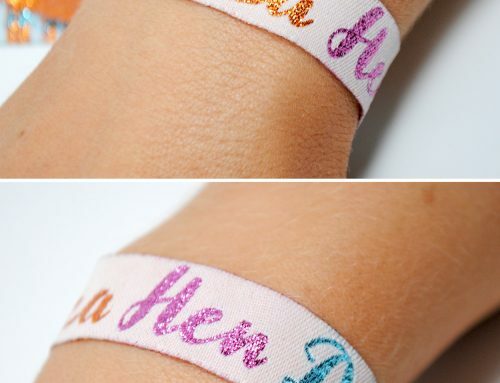 Whats even better is because they are made like festival lanyard programmes the guests can just hang them around their neck just like they would at a real festival, or they are also compact enough to fit in your pocket or handbag. 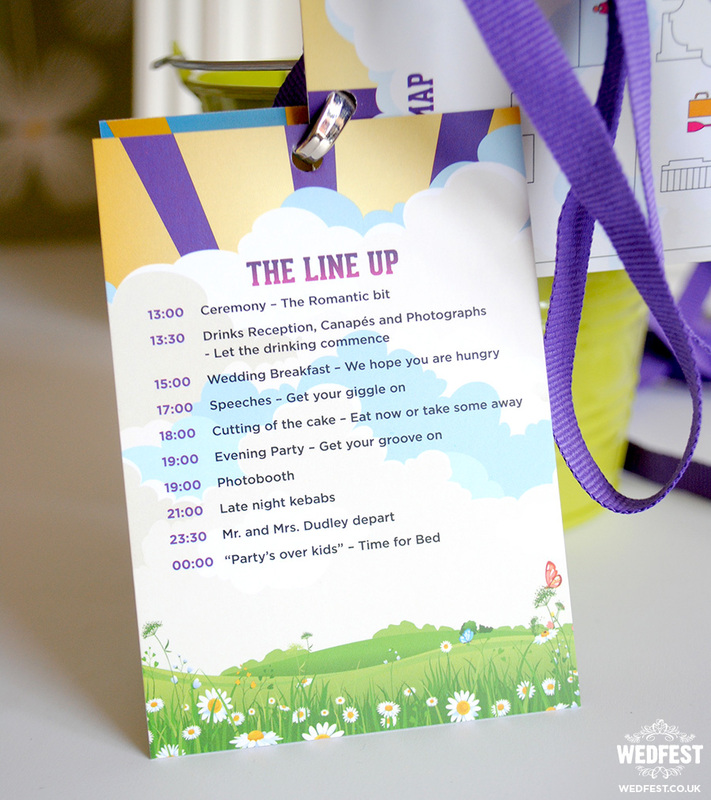 For the wedding breakfast part of the day we made the couple a festival style wedding table plan poster again following the design from the earlier stationery we created. 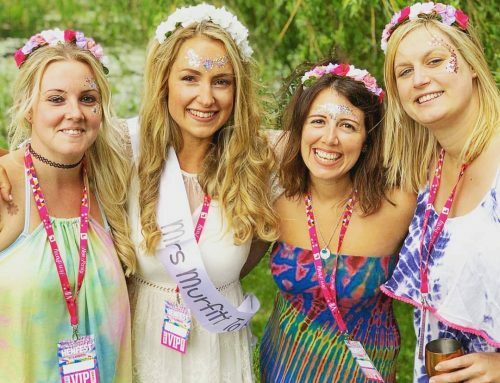 The couple named their wedding tables after Glastonbury Festival stage names. 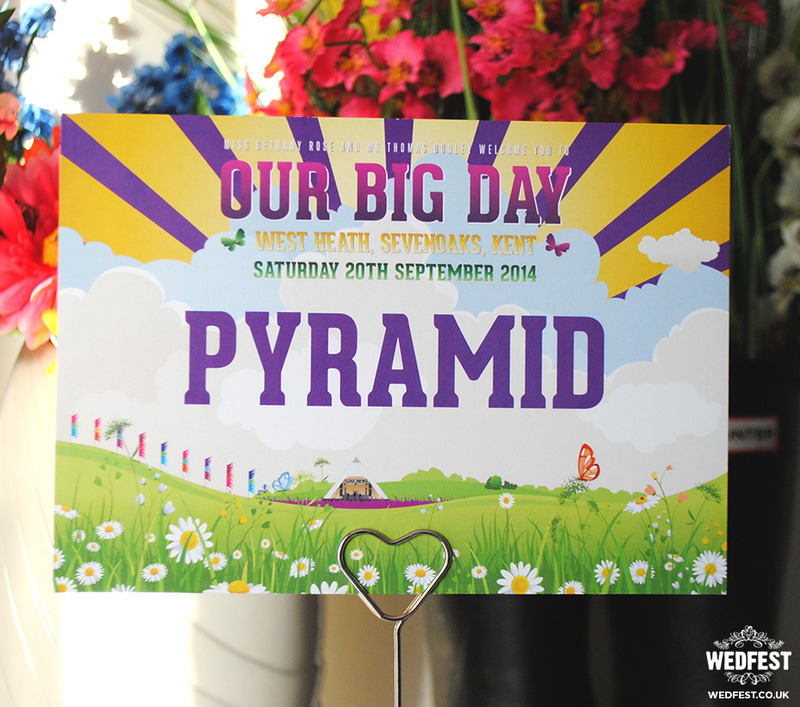 We then made matching wedding table centre cards for the couple to display on the tables to help guests work out what table they were sitting at. 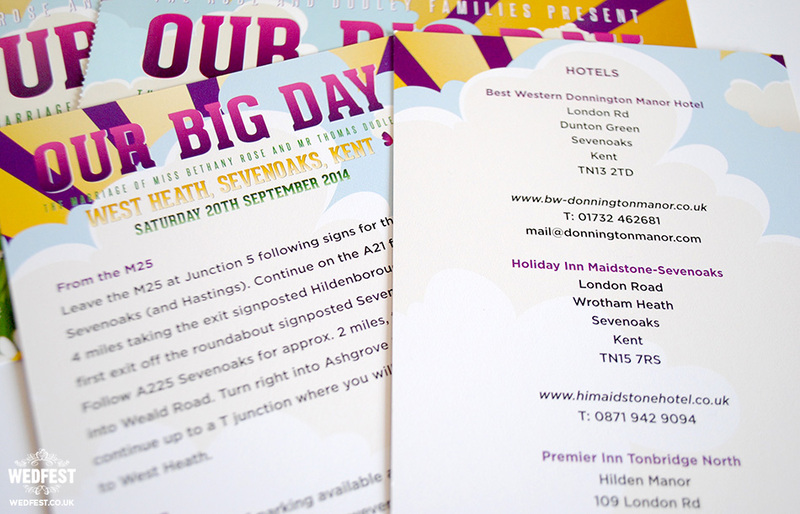 This was a great set of wedding stationery to work on and the wedding guests loved it. 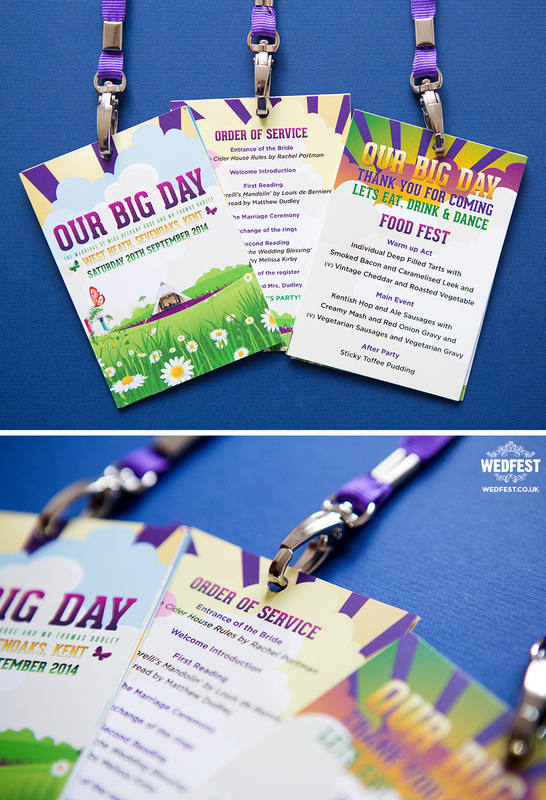 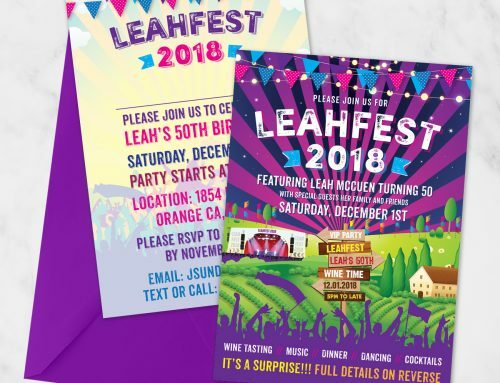 If you liked these designs and ideas and want to know more about creating some super cool festival wedding invites or wedding stationery for YOUR BIG DAY, click here to get in touch.